Description: Digitization provided by the USF Libraries Digitization Center. 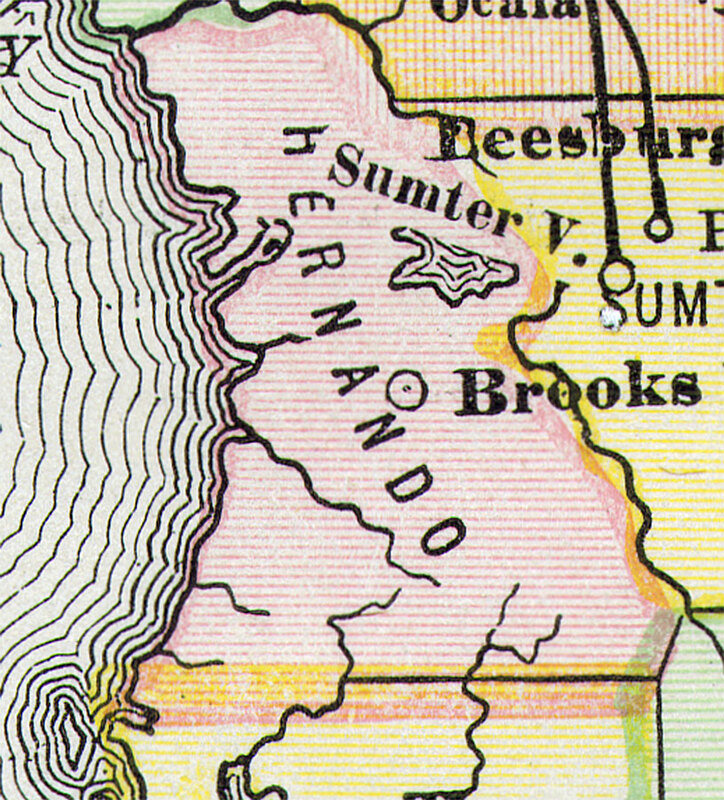 This Hernando County map is from Poor�s railroad map of Florida, circa 1883. It shows railroads, counties and county seats, cities and towns and inland waters. Approximate map scale is 75 miles to 1 inch. This particular map shows Brooksville (County Seat) as the only city in Hernando County. No railroad lines are shown in Hernando County.